If you can speak Japanese, have a passion for games and live in the UK (or are prepared for a pretty hefty commute! ), Sega could be looking for you. The European arm of the company today advertised for a new Assistant Producer to work on future European localizations of the Japanese studios’ output. You’ll be working in Brentford, Middlesex, a “beautiful” suburb of London which has over twice the number of robberies as the national average. It’s not all bad though, Pocahontas lived there for a couple of years as did 6th President of the United States, John Quincy Adams. The role is offered under a fixed term contract and salary is unspecified, though it can be safely assumed that it’s nestled somewhere between shoeshine boy and pro footballer. I can’t give a direct link due to the way the Sega recruitment site works but if you search for all jobs, you’ll find it’s the only job posted today. 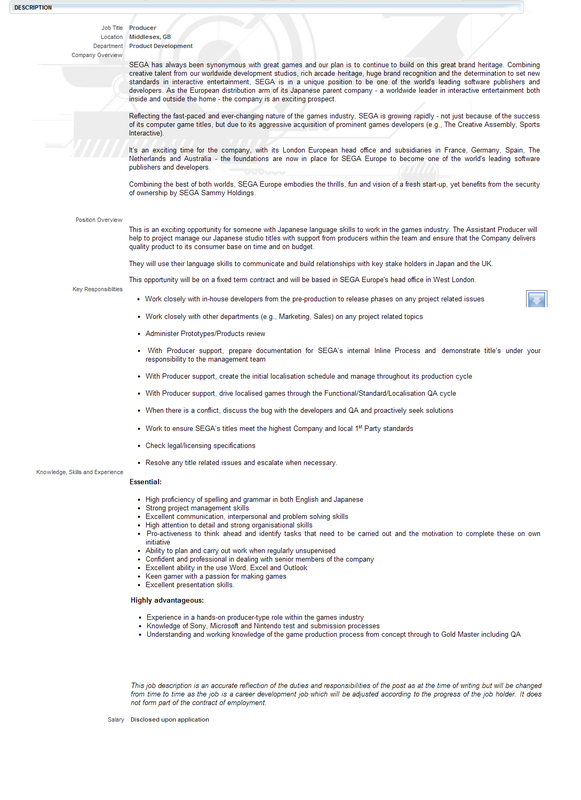 Alternatively, here’s a screen grab of the job description that you can save and view at a readable size. 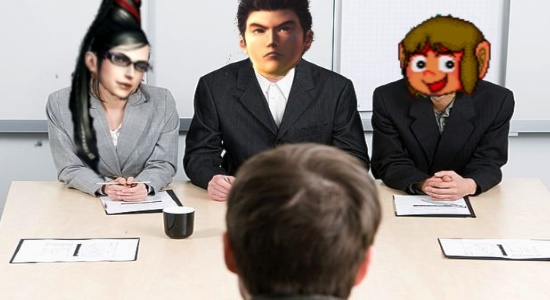 Now for the small print… They need you to be a hotshot project manager and having experience in the games making process is “highly advantageous” but heck, if it means getting paid to help make Sega games and chat up Bayonetta at the coffee machine, it’s got to be worth a try, right?! Sega games coming to PSP essentials range. If only I spoke Japanese, or lived in or near the UK – so close! I wonder if you could just get away with pretending to speak Japanese instead, like just make up words that sound a bit Japanesey? !